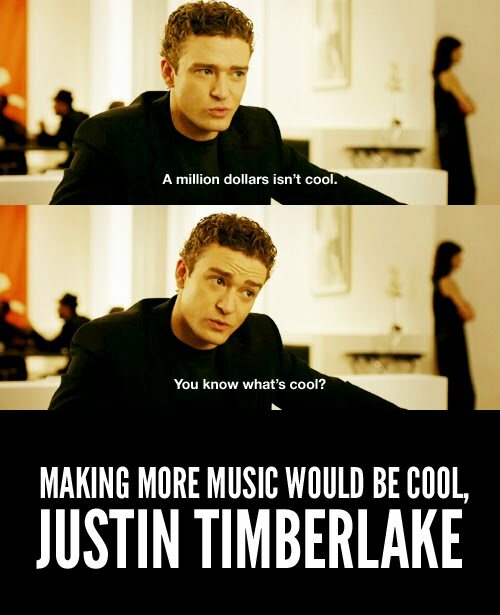 The man who helped turn Timberlake into a cool guy will now be helping JT complete his ridiculously high-profile music comeback — with what looks like one of the coolest music videos in a long time. David Fincher, the man who helped turn Justin Timberlake into a cool guy, will now be helping JT complete his ridiculously high-profile music comeback — with what looks like one of the coolest music videos in a long time. Yes, the man who directed Fight Club, Se7en, and Timberlake in The Social Network is helming the video for Timberlake's "Suit & Tie," his super-hyped collaboration with Jay-Z, according to Playlist. Now, this isn't unusual territory for Fincher, who does have a long resumé of music videos, but he hasn't directed one since a 2005 clip for Nine Inch Nails, whose Trent Reznor won an Oscar for his Social Network score. And Fincher has been busy, most recently directed the first two episodes of the new Netflix series House of Cards, while rumors circle that he's in talks over the adaptation of the bestseller Gone Girl. But it's the latest sign that Timberlake is going big as he transitions from movies back to music: There was his very slow reveal of "Suit and Tie," and he'll be at the Super Bowl — his album, The 20/20 Experience, comes out March 19. That said, "Suit & Tie" isn't exactly "Vogue."